This discovery will mean the ability to form novel materials in a matter of seconds instead of days. Some of the tiniest crystals in the world can, together, form superlattices, the basic elements of various novel materials. These crystals are also called “artificial atoms,” because they can organize themselves into structures that look a lot like molecules. Scientists from the Department of Energy’s (DoE’s) SLAC National Accelerator Laboratory (SLAC) and Stanford University have now serendipitously observed these nanocrystals forming superlattices as they grow. In fact, during the routine synthesis of nanocrystals, superlattices can form incredibly fast — in a matter of seconds, not days. These observations, the first of their kind, will help scientists to adapt and improve the assembly process and use it to make novel materials for applications such as solar cells, optoelectronics, magnetic storage, and catalysts that speed up chemical reactions. Scientists have been creating nanocrystals in labs for decades. Tiny inhabitants of the realm of quantum mechanics, these crystals often have fascinating and unusual properties that vary based on their composition, shape, and size. Superlattices feature the ordered structure of crystals, but rather than individual atoms, they are composed of nanocrystals that imbue the superlattices with some of their properties. Superlattices also have unusual properties of their own, and part of the purpose of this kind of research is to expand our understanding of how we grow superlattices for certain qualities, control their properties, and keep them uniform. Until this work, superlattices were grown at low temperatures slowly, often over the course of several days. 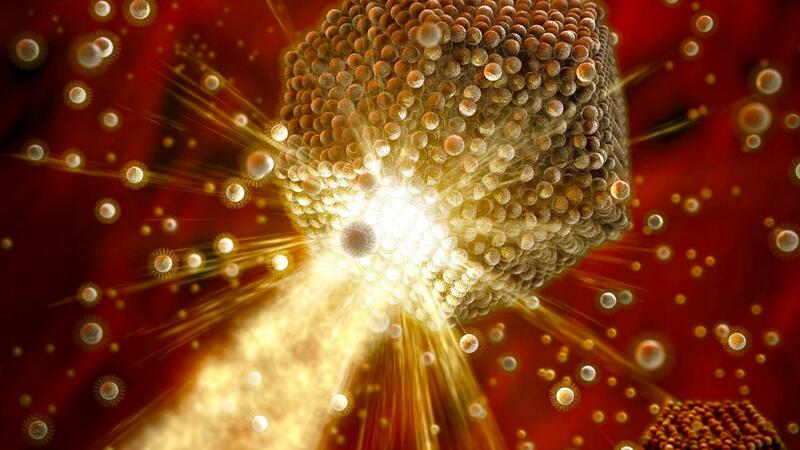 However, an accidental discovery revealed that heating palladium nanocrystals with an SSRL X-ray beam, which “fries” the nanocrystals, also prompts them to self-assemble into superlattices. “The challenge was to understand what brings the particles together and attracts them to each other but not too strongly, so they have room to wiggle around and settle into an ordered position,” Stanford assistant professor of chemical engineering Jian Qin said in a statement. Since that time, the team has focused follow-up experiments on how to change the composition, properties, and size of the superlattices, and on how the superlattices grow. They have also realized that the process is more generalizable.